Well, probably not. I have to wait until after Christmas when dad brings his 43' coach home before doing the swap. I am in Idaho and it is 43 degrees and raining. NOT going to do this outside. I will wait until he clears his rig out so I can pull it in the nice heated garage out of the weather. That said, I may have it all built before then....... Off to the welding store. Ran out of 1/8 4043 filler rod. It is tacked though. What a pain in the rear. I am a bit over half way through welding. The inside seam is welded, now working on the outside. Since I was not able to preheat something this large I had to do a bunch of 1" stitch welds and keep doing them over and over again until it was one piece. Then I was able to do a good deep weld all the way around. Letting the TIG torch cool a bit before I go back and finish the outside. Now is one of the times I wish I had opted for a water cooled torch. NICE work! Yea, That is definitely water cooled territory. Now be sure to run the mill on the face of the bell to be sure it is flat to the rest of the transmission. Last thing you need is to wipe out the input bearing or converter due to misalignment. THAT'S where my damn tape measure went!!! Exactly what I meant Frank, Bad day, Migraine day today. I have a few tape measures, and I can never seem to find one when I need it. Yes, I will fly cut the face. I am sure it warped a bit with all the welding. There are a couple of spots I am thinking about grinding out and laying a new bead. I think there was some embedded contaminates that boiled up and contaminated the weld. Even as is, I do not think there is any chance of it breaking, but for my peace of mind. I will look at it fresh tomorrow and decide what to do. I may have an issue with my mill though. I can not get the table down far enough to get the transmission under the spindle. It is just not tall enough. I think I can rotate the head a full 90 degrees, but then there is an issue finding a truly flat surface to clamp the transmission to. I'll take a bunch of measurements tomorrow. I may just take it to a buddy's shop who has a larger mill. After all that work it doesn't pay to try to rig something. If he has a mill that will do it then go there. Pulled my intake and fuel injection throttle body today to update the dual plane manifold into an air gap. Many threads that confirm that throttle body injection systems prefer an air gap style manifold. Chucked it in the mill and got that done. Looked down the intake tracks of the head and found my oil burn issues. Valve seals. Every intake valve that was closed had a puddle of oil pooled up on them. I had planned to get those changed here shortly, so now I am going to start on them this weekend. Already had a new set of seals and all the tools to do an in frame swap of them using my leak down tester to pressurize the cylinders. I have done it before on other motors, not too bad of a job. It will be nice to have the oil burn reduced. If you are burning that much past the bad seals you might want to check the movement of the valve in the guides. You could have worn guides also and in that case the new seals will not stop as much as you hope. I agree. The heads were rebuilt with new guides and seats in the early 80's. Probably 30k miles ago (dad did not write the mileage on the receipt....). So I hope not, but they may be. 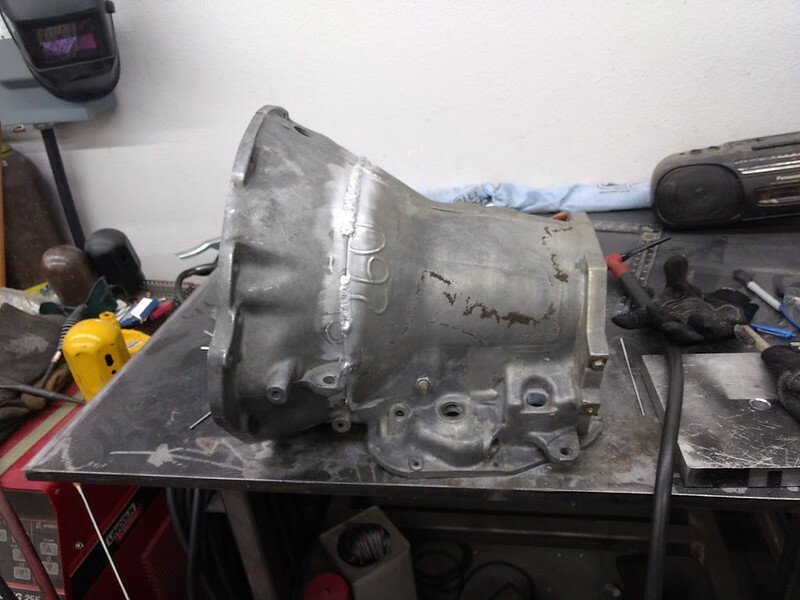 If they are, then that will give me an excuse in the future to go with a rebuild of the motor and install aluminum heads, flat top pistons, etc., to get the most out of the motor, at least in realistic terms anyway. All kinds of ideas are floating around in my head about what I could do with the motor. Leave it low compression and add a low boost turbo, increase the compression and leave it normally aspirated, etc. Much to consider, but I have time. Even if the guides are worn, the motor runs too fantastically to be worn too bad. I have time. The next big project for the coach is paint. That is going to be a big one. I am going to completely strip the exterior, pull windows, etc. While the windows are out I am going to replace all the seals, guides, and hardware so they function like new again. So far I am convinced I am going to keep the original paint colors and style, in restomod fashion. Keep the classic look, but be all new under the skin and inside. I love how many comments I get on this coach when I travel. I feel some of that would be lost if I went to modern colors and graphics. But I have a couple more years to save and decide about that. I am installing new tires before my March trip to AZ. At that time I will have the wheels sand blasted and I am going to professionally paint them as new again. No more bomb cans every couple of years. I need to talk to the local auto paint shop to get a paint recommendation so I can do it right. I thought about powder coating, but that is still expensive and my yearly budget is busted for this year on her. A quality paint job on the wheels should last until I swap tires again in another 8-9 years or so. Stuff does not rust in this part of the country. Hubs will be painted. I am deciding between black and a machinery gray. The stark contrast between bright white and gloss black may look out of place. Maybe a satin black, not sure yet. Today I will be starting the building of the transmission. I have all the parts and the new gas governor showed up yesterday. I am going to take this very slow and make sure it is right. Saturday I am planning on doing the valve stem seals. It looks like it will be mid January before my coach can get pulled into the heated garage for the transmission swap. So I am working on inside projects where I can just kick on the heater in the coach. Plenty of things to keep me busy. I like the black contrast, I painted the hubs gloss black on my Dodge dually pickup and it came out nice. They stay cleaner in gloss paint also. Got the same old semi rusty lug nuts though. Was going to buy new ones til I saw the price for 32 lug nuts! Thanks for the visual. Black hubs look great. I am pricing powder coating for the wheels now. Much more durable than paint, in my opinion. We will see what the cost is. I am also thinking about trying to find some of those stainless lug caps like the truckers use that will fit my lug nuts, then have them powder coated at the same time in white. That is probably a long shot, but worth a try. Ok, out to the shop and start stacking this transmission. I might be wrong but iirc there's a reason they don't powdercoat rims. I have been trying to figure this one out. But there are a lot of rims that are powder coated from the factory. I have done a ton of motorcycle wheels, and some friends have done many aluminum rims for cars. That said, I can think of two problem areas. One is on the taper seat of where the lug nuts tighten down. You do not want to get any powder coat there. The second, and I do not know how to deal with this one yet, is where the two flat mating surfaces of the dual wheels mash up to each other. I can not remember if they go flat to flat on the M500 chassis or if there is a gap. But, powder coat is not perfectly flat, so if they mashed up, it could be slightly off in regard to being true to each other. And, powder coat offers very little coefficient of friction. It would put a much higher stress on the lug bolts as the wheels will not be locked together via friction. Started rebuilding components. Got the pump and the front most clutch assembly rebuilt. So far I am not seeing any red flags. 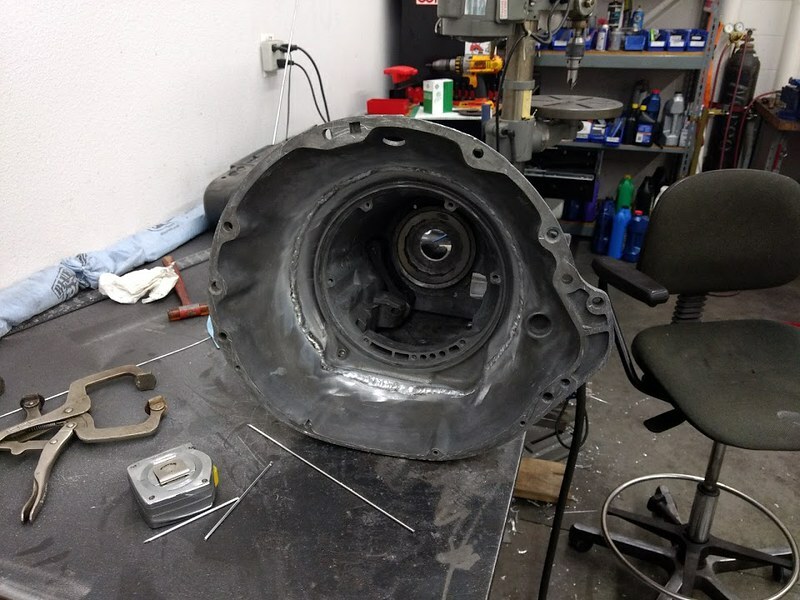 It looks like this was a good used transmission. When I bought my 98 dually I pulled the trans since he had used it since new to pull a four car trailer daily. with 120,000 on the clock I figured it HAD to be toast. Well, I really did not even have to replace the clutches. I did anyway since I had upgraded clutches but the originals looked like new! He took very good care of the truck. That was a 47RE. Same thing I am finding. Some of the seals were a little firm, a couple bushings showing some wear, clutches and bands look great. But everything is getting replaced. Other than service, I want this transmission to live as long as I have the coach, which will probably be another 20 years. Did you get a chance to run a mill against the face of the transmission? I am curious to see just how close you got it. I mounted it up on the granite slab and rigged up my depth gauges and took a bunch of measurements from the flange to the pump mounting surface to check how straight it was in relation to each other. Pretty much nailed it. I think using a precision mill to measure and mill the welding surfaces really helped make this happen. So machining was not necessary like I thought it would be. I'd like to pick your brain about something on your coach, but it isn't directly related to this project. Would it be alright to private message you about it?